Whether you involve 1 or 1000 volunteers, your organisation needs to ensure it manages volunteers effectively – and by that, we mean everything from how an individual volunteer fits in and works along side paid staff (if you have them) to creating and maintaining extended volunteer programmes. Central to any successful volunteering programme, big or small, is effective volunteer management. This four module (which can also be run as 4 modules over 2 full days or 4 modules over 4 evenings / mornings) is delivered in a hands-on, participative style and is designed to provide you with a best practice volunteer management framework for involving volunteers in your organisation.  South Dublin County Volunteer Centre offer a wide range of volunteer management training tools for your organisation. If you have gained some of these skills and would like to have further training on a specific volunteer management topic please contact us in South Dublin County Volunteer Centre and we can carry out a volunteer management training needs assessment for your organisation and deliver bespoke training specific to your organisation.